We have Won Countless Cases with a Proven Track Record of Success Defending Clients Throughout Vista and San Diego County. Driving the beautiful hilly streets of Vista, CA, coasting through the downtown flatlands, or taking a scenic trip along Gopher Canyon Road or Buena Vista Park can be an enjoyable experience, but when you see those flashing red and blue lights behind you and realize you're being stopped by police - all of that changes in a moment. And when you realize you're being arrested on a DUI charge and your license is confiscated by police in exchange for a "pink slip," a feeling of frustration and helplessness begins to set in. But just because you've been cited for a DUI or DUID doesn't mean you're guilty or that you will inevitably lose your hearing at the DMV and/or any court case that may be involved. At Vista DUI Attorney Law Firm, we routinely take on and win DUI defense cases just like yours in Vista and throughout San Diego County. We know how to put you in the best possible position and secure for you the best possible outcome in an efficient, affordable manner. Consulting with a qualified attorney early on in the legal process provides a number of benefits for you. We will advise you on avoiding any kind of self-incrimination, which could possibly compromise your defense. When we sit down to talk with you, we will go over every unique and specific detail of your case so as to get the most complete picture of your situation and, ultimately, present you with the most powerful defense possible. Our comprehensive approach to your defense will utilize any and all tools needed for your individual case, including interviewing witnesses, using the services of a private investigator and, of course, an exhaustive study of all the evidence and facts. Contact us anytime 24/7 by calling 760-691-1540 for a free DUI consultation and we will be happy to assist you! Servicio En Español 24 Horas Del Dia, 7 Dias De La Semana 949-435-9992. If you or someone you love is currently being charged with or is under investigation for a DUI it's important to contact our office as soon as possible. At the Vista DUI Attorney Law Firm our experienced DUI lawyers not only practice in North County but also live and are part of the north county community. We understand the importance of developing relationships in the North County Superior Court extending from the law clerks, the deputy district attorney, the prosecuting district attorney, and the judges as well as law enforcement and sheriff’s department. We also understand the importance of working together as a team through our vast experience and knowledge of handling DUI cases specifically in the Vista courthouse. At the Vista DUI Attorney Law Firm, we will handle your case personally and we do not use outside law firms or coverage attorneys or appearance attorneys like many other law firms do. We are not a large mill type law firm that you hear on the radio. Our attorneys take the time to personally sit down and discuss each client's case and each client situation and how the effects of a DUI can affect their future. For example, how it may affect schooling or entrance into certain careers like the medical or nursing fields, their job, background checks and fingerprinting clearance. Let our team clearly explain the DMV process and how we stop the automatic suspension of your driver’s license. Our office takes an incredible amount of pride in developing a long-lasting relationship with the Department of Defense and have helped hundreds of our active military men and women. We have assisted clients both in the Navy and in the Marine Corps who have had the unfortunate experience of receiving a DUI either in the community or on a military base. Our law firm is skilled in handling both Vista DUI cases as well as the DUI cases that are charged in federal court. The Vista DUI Attorney Law Firm offers a free private consultation to review your case and to stop the automatic suspension of your driver's license. We have competitive flat fees and affordable payment plans on approved cases. How Is DUI Defined Legally in California? There are two major ways you can be determined under the influence of alcohol under California law. Penal Code Section 23152a bases DUI on the fact that alcohol in your system is diminishing your ability to operate a motor vehicle at the same degree of caution as a non-intoxicated person would be expected to do. PC 23152b, on the other hand, is called "per se" DUI and simply goes off a blood alcohol content reading of .08% or higher. Thus, by observing your driving patterns, detecting alcohol on your breath, and noting a failure to pass field sobriety tests, it is possible police could arrest you on DUI even if your BAC was below .08; but if it's at or above .08, that in itself is sufficient to make an arrest and file a DUI charge. DUIs are a major problem in Vista, CA, today, and throughout our state and our nation. It's no wonder that police are quick to make stops and arrests for suspected DUI violations, in the interests of public safety. But there are also many instances where people are arrested on false DUI charges or where police violated the rights of the person arrested in some way. Given the severity of the consequences of a DUI conviction, false arrests are just as much of a problem as are genuine DUIs. Unlike other types of criminal offenses, a DUI is not a simple, one-step process where you just go to court. Instead, it is initially handled by the DMV, and the DMV hearing and administrative actions are totally separate from any jury trial that may come later. In fact, it's even possible to lose the DMV hearing and still win in court, or vice versa. Once your license has been taken by police for a DUI stop, you have only 10 days (not business days, actual days) to call the DMV and request a DMV hearing. If you fail to do so you will lose the right to such a hearing permanently. A good lawyer can call the DMV for you, if you wish. Also, if your court date is past the 30-day expiration time of your temporary license, we can get it extended until the hearing for you. It's critical to have good DUI defense experts helping you through the DMV hearing process and through any jury trial that you may face later on. Dismissals, acquittals, and reduced charges and/or sentences are often obtained by experienced DUI attorneys for their clients. Poor Driving Does Not Equal DUI. You might not think arguing you're a bad driver is a good defense, but it can be against a DUI charge. Just because police noticed you driving poorly in some regard does NOT prove you were driving DUI. Most accidents and moving violations are not caused by alcohol or drugs, and there are other explanations for alleged "patterns" consistent with DUI. In fact, just watching how someone drives only results in a "right guess" by police as to DUI around 35% of the time. "Symptoms" of Intoxication Are Not Reliable. Police often rely on "objective symptoms" like red or watery eyes, slurring of speech, smelling for alcohol on the breath, or a wobbly walking pattern to decide if someone they've stopped is likely being affected by alcohol. But the fact is that even if multiple such signs are checked off on the arrest form, it does not prove you were under the influence. There may be other causes for such symptoms, like illnesses, allergies, or tiredness. Failing a field sobriety test is NOT definitive proof of a DUI. You may have failed some elements on such a test, but not others - and police may fail to mention the elements you passed. Plus, things like fatigue, lack of coordination, weather, clothes, having flat feet, being nervous, and more can affect one's balance. And the tests aren't always administered correctly, and the person taking the test may not understand what's expected of them. Residual mouth alcohol can often lead to a falsely high BAC reading on a PAS breathalyzer test. If the result was at or barely above .08, this could easily make a big difference. If you drank (moderately), took certain medications, or used mouth rinse recently, mouth alcohol could be a factor. Also, you need to breathe deeply from the lungs to get a good reading, and the officer has to observe you for 15 minutes before administering the test for it to be valid. Unless the arresting officer followed the stipulations of how to take a blood or breath test found in Title 17, the results can be challenged and maybe declared invalid. This set of rules requires that police be properly trained for the particular device they are using, have it calibrated correctly, do due maintenance on the devices, store blood samples according to strict regulations, and provide a second blood sample that your defense attorney can have independently tested later on. Any violations here can get the BAC results (and maybe DUI charge) dismissed. Any violation of the defendant's rights can result in the DUI case being dismissed or in evidence being declared inadmissible and making the prosecution unable to win the case. For example, there must have been a probable cause for the traffic stop and the arrest. You must have been read your Miranda Rights, and you cannot have been interrogated before you were even informed you were under arrest. When you consume alcohol, your BAC level immediately begins to rise, but it takes from 1 to 3 hours for it to peak before falling again. To be guilty of DUI based on a .08 or higher reading, you have to have had that BAC while actually driving. But, if you are not tested for some time following the traffic stop, and your BAC continued to rise between the stop and the test, it could be that you had a lower than .08 BAC while driving even though the test results show .08 or higher. The fact is that it is extremely unlikely for a person to be mentally unimpaired (and alert) by alcohol or drugs while at the same time displaying signs of physical impairment. Oftentimes, police overlook to mention mental impairment. But if we can show you were mentally alert at the time of your stop and arrest, then it goes a long way towards showing the chances of actual physical impairment are very low. Those with diabetes and certain other diseases like hypoglycemia can often test positive for alcohol even when they have not been drinking. Such conditions can cause the body to produce an excessive amount of "ketones," which mimic the effects of alcohol on the BAC tests used by law enforcement. Ketones can also cause your breath to smell similar to alcohol and make you lose some degree of coordination. Another way ketones can be produced in excess and throw off the BAC test results is if you are fasting or on a high protein and/or low carb diet. Ketosis interferes with the tests because it produces chemicals similar to isopropyl alcohol that can't be distinguished from it by the current testing tools. Regardless of which type of DUI charge you are facing, we have an understanding of the law and DMV and court processes it takes to build you a solid defense that will maximize your chances of winning your case. At the Vista DUI Attorney Law Firm, you will find that we do a lot of things differently than other law firms do. An example of this is our intake process. We know that you may be overwhelmed, stressed, and concerned for your future after your arrest, and our firm truly wants to help. When you come into our office for your case evaluation, you’ll meet our capable and compassionate staff, who will be with you every step of the way during your case. It’s important to us that we take the time to meet you and understand how your DUI could affect you, your goals, and your future. Every criminal case is unique and the possible effects are too- a negative outcome in your case could affect your education, your career, professional and occupational licenses, and even your right to own firearms. Our attorneys truly see each potential client as an individual, and our intake procedure reflects that. This initial consultation is also imperative in that it allows us to first establish that we are able to accept your case, and then lay out for you our strategy for your defense. How Are DUIs Punished in California? Most DUI charges in California are misdemeanors, although aggravated or multi-repeat offenses can be felonies. Although there are other factors that can affect exactly how a DUI is punished - and the DMV vs. jury trial criminal sentence can differ, in general, it is based on whether it's your 1st or a subsequent offense. A 4-month or longer suspension of your California driver's license. DUI probation for from 3 to 5 years. Up to 6 months in county jail - this is usually exchanged, however, for a shorter time in jail or none at all if you do community service. From 3 to 9 months of state-approved DUI classes. A fine plus fees that can reach $1,000 or more in total. Mandatory installation of an ignition interlock device (IID) once your license suspension is over. Up to a 2-year license suspension. Up to 18 months of DUI class and sometimes also AA classes. Up to 12 months in jail, with 96 hours of actual jail time required. A fine of up to $1,000 and mandatory installation of an IID at your own expense. Up to a 3-year license suspension. DUI probation for 5 years. 18 months of DUI class & AA class. Up to a year in jail, with a 120-day minimum. A 4-year license suspension and the possibility of permanently losing your license. Formal DUI probation for 3 to 5 years. 30 months of DUI class and AA meetings. Fines and fees as high as $18,000. Up to 16 months in state prison. Status as a convicted felon, which will show up on future employer background checks. Note that there is a 10 year look back period when counting whether it's your first, second, third, or fourth DUI. Also, you can still face civil charges over any injuries or property damage caused by the DUI incident if you were at fault. And if other driving crimes like hit and run, vehicular manslaughter, driving without a valid license or on a suspended license, or child endangerment (if someone 14 or younger was in the vehicle with you during a DUI) can also add additional sentencing elements. We handle all aspects of DUI and represent all possible DUI crimes vigorously. 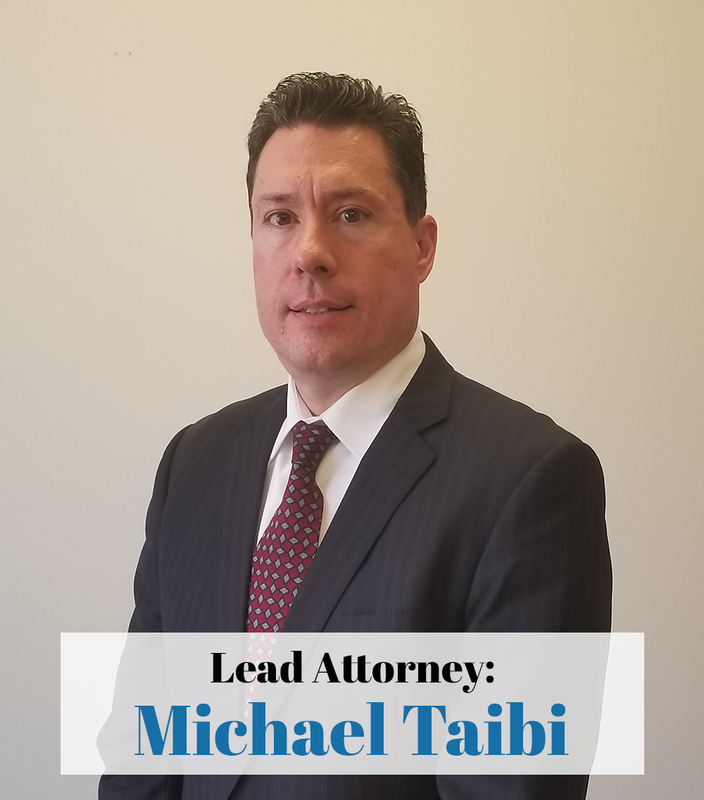 Our attorneys’ reputation is exceptional and built upon not only success in our criminal cases, but also their excellent relationship with other legal professionals within the county, including both judges and prosecutors. Our philosophy of service is built upon strong ethics, high principles and are truly dedicated to earning the trust and respect of our clients and peers. Below we have provided clear information on each of our most defended DUI crimes. After reading, if you or someone you love has been arrested, we encourage you to get in touch with us right away as time is of the essence. While you can get a felony DUI based on it being a fourth of subsequent offense or for a few other reasons, usually it's a matter of an injury or death having resulted from the DUI-related accident. But there are several different possible charges when an injury or death is involved: we will look at each of them separately here below. If a DUI accident results in the serious bodily injury of another person, a felony charge will likely be filed. If the injury was minor or if it can be shown it was not caused by the fact you were driving DUI, then you may still be able to get a misdemeanor DUI charged instead. But as a felony, DUI Causing Injury is punishable by up to three years in state prison. You can also have another year added to the prison sentence for each person if you injured multiple people - and three extra years added per person for severe injuries. Vehicular manslaughter occurs when you accidentally kill another person with a vehicle you are driving, but you are considered to have been negligent to a degree that makes you culpable for the death. This charge falls short of murder but is very serious nonetheless. A DUI causing death may often be charged as vehicular manslaughter while intoxicated. This is punishable by a year in jail as a misdemeanor but from 16 months to 4 years in prison as a felony. Ifgross negligence is also attributed to the defendant, then the felony charge can get you 4 to 10 years in state prison. Vehicular manslaughter is also a strike on your record under our state's Three Strikes legislation. Under PC 187, you can be charged with murder (2nd degree) if you are driving DUI and as a result kill another person. The element that raises this charge above that of vehicular manslaughter in seriousness is called "implied malice." With DUIs, this means knowingly committing DUI when you knew it was likely to result in the endangerment or loss of the life of others. It does not posit an actual intention to kill someone (which would be 1st degree murder) but merely a reckless disregard for human life. If you already had a past DUI conviction and then committed a DUI that resulted in the death of another person AND you attended DUI class, were read the "Watson Admonition," or otherwise were made fully aware of the true risks of driving under the influence, the prosecutor will likely charge Watson Murder. If he cannot prove a conscious disregard for life, however, a reduction to a vehicular manslaughter charge is likely. From 15 years to life in state prison. A fine of $10,000, plus fees. A "strike" on your criminal record for a violent crime. One question we often get is how to handle a DUI allegation if you have an out of state driver's license. Even if you're not a resident of California, you still have to go through the same DUI process the DMV and/or in court as anyone else. The fact you live far away can make that more difficult, hence the even greater need for a good DUI lawyer. Your lawyer can normally attend your hearings for you, so you won't likely have to make the trip to appear in person, though you have that option. When convicted of a DUI in California, you would lose both the right to drive in California and lose your own state's driving license in most cases. But it depends which state you are from - 45 states have joined the Interstate Driver's License Compact that allows the exchange of DUI and other driving record data among participating states. The other 5 states may or may not find out about the DUI allegation in California and take their own action. If caught not only on DUI but also drinking alcohol below the legal drinking age of 21, license suspensions for DUI can become more severe. A BAC level of only .01 or higher is sufficient for a DUI charge for underage drinkers - this is called California's Zero Tolerance Law. It is possible for someone under 21 to be charged with a standard DUI, but usually, they are charged with an infraction and given up to a one-year license suspension and have to pay fines of up to $250. Thus, you could get a longer license suspension but a lower fine and only an infraction instead of a criminal record - that makes the penalty less severe in some ways but more severe in other ways. Note that an underage DUI can affect one's ability to get approved on a job or college application. And of course, it takes away one's driving privileges at an age when many are very active. Thus, this kind of DUI charge is well worth fighting to defeat, or at least reduce to the minimum. Under VC 23152d, those with a CDL (commercial driver's license) in California are held to a higher standard than ordinary drivers. A BAC of .04 or higher counts as a DUI. However, this only applies while actually operating a commercial vehicle, not when driving a non-commercial vehicle - in that case, the .08 standard DUI would apply instead. From 3 to 36 months of DUI school. Loss of one's commercial license for a minimum of 1 year. Note that although a DUI in a non-commercial vehicle is charged as a standard DUI, yet, if convicted, you still lose your CDL along with your regular California driver's license. Also, a second DUI offense can result in loss of a CDL for life. And the sentencing enhancements for DUI Causing Injury or DUI Causing Death still apply and are likely to be charged as felonies. Finally, realize that if arrested on a DUI charge (even if not convicted) and you refuse the chemical BAC test, then the one-year CDL suspension applies on that basis alone. It's important to realize that whether it's DUI alcohol or DUI drugs, it still counts the same as far as your criminal record and the penalties received if convicted. And not only does being under the influence of an illegal drug while driving count as DUID, the same applies for prescription and over the counter drugs - even if you have a valid prescription. The point is you can't drive when it's unsafe to do so based on the drugs (of any kind) in your system. A first time DUID offense is punished just like a first time DUI alcohol offense, and the same goes for second, third, fourth, and subsequent offenses. Enhancements based on causing injury or death or child endangerment also apply to DUIDs. Just like DUIs, DUIDs are usually misdemeanors but can become felonies in aggravated or repeat offense cases. There is a difference, however, in how DUIDs are detected as compared to DUIs. There is no specific percentile limit, like .08, with drugs as with alcohol. Any detectable amount of drugs found in your system, IF they can be shown to have impaired your driving ability below that of what's expected of someone not under the influence of drugs, counts as a DUID. If reflexes are slow, mood changes erratically, you are not very alert, eyes are hazy or bloodshot, speech is slurred, or other signs of drug use are noticed by police AND you pass the breathalyzer test, police may call in a drug testing specialist to take a drug test and then arrest you for DUID. However, many of the "symptoms" of drug use can be attributed to other causes, such as exhaustion or distraction and nervousness, and drug testing is not 100% fool proof. So, don't assume you don't have a case based on a police report and drug test alone. At Vista DUI Attorney Law Firm, we truly are your hometown law firm that cares about local Vista, CA, clients and has deep roots in local communities throughout San Diego County and beyond in Southern California. We better the community by providing quick access for all to top-tier DUI defense. We also give back locally through programs like The Wounded Warrior Project and other community-friendly efforts. Any law firm can claim they provide good customer service in an effort to gain your business, but we at The Vista DUI Attorney Law Firm are proud to promise special attention throughout your entire case, from start to finish. Our attorneys will make sure that you understand the details of your defense, and we even have staff specifically trained to deal with the DMV for you who are available to you 24 hours a day, seven days a week, 365 per year. We cover the full range of DUI and DUID case-types and will know how to build you a solid defense. Call us today at 760-691-1540 for a free, no-obligation DUI consultation!